The Omaha Talons is 501(c)3 nonprofit organization serving the South Sudanese immigrant and refugee community in the Omaha metro area. We provide programs and support for at-risk youth by providing a positive and safe environment. Our programs are focused on education, healthy food access and nutrition, and utilize basketball as a vehicle to develop life, leadership and educational skills. Talons leadership provides mentorship, support and an opportunity for Omaha at-risk kids to stay off the streets and engage in positive behaviors. Many of the kids who have participated in the Talons program have gone on to succeed in school, obtained college scholarships and returned to work with and serve our younger kids. The Omaha Talons strives to empower and motivate Omaha area youth, specifically South Sudanese immigrants and refugees, and improve leadership, citizenship, health and their educational skills by providing a safe, positive environment with mentorship and community support. 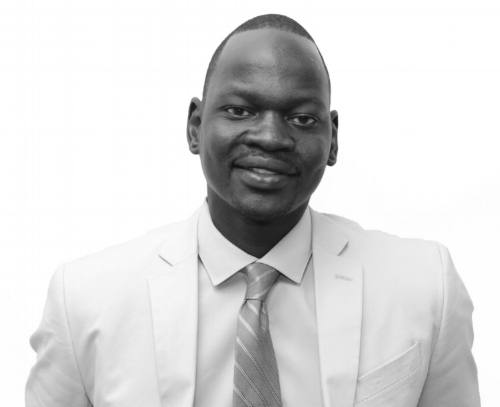 Guided by principles of solidarity and community interests, Koang Doluony founded the Omaha Talons organization to fill a vital need for youths in the South Sudanese diaspora community in Omaha, Nebraska, home to approximately 15,000-20,000 South Sudanese. After finishing his degree and college basketball playing career at Indiana State, Mr. Doluony returned to Omaha to dedicate his life to mentoring and serving South Sudanese youths in his community. The work of Mr. Doluony has been covered extensively with national stories by Vice Sports, Omaha World Herald, Bleacher Report, and CNN Great Big Story. Using sports as a vehicle, Mr. Doluony advocates for education, healthy food access, and empowerment of the community to advance the opportunities for young people. He instills responsibility, accountability, and work ethic in his daily mission. Many of the young people he works with have gone on achieve to incredible feats and overcome seemingly insurmountable odds. Although Mr. Doluony is primarily located in Omaha, his influence extends to other parts of the world in guiding youths and impacting positive change in the community.